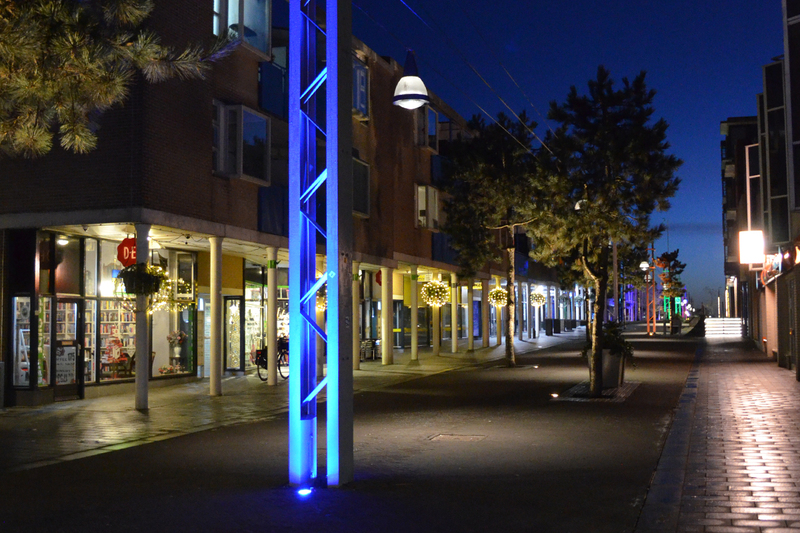 In October 2017, the municipality of Zeewolde approached us, together with 3 other parties, to help develop a more powerful lighting concept in the heart of the city and to accentuate various shopping areas. During the tender we were given the opportunity to demonstrate our concept in a pitch and a presentation. Finally, according to the municipality, the entrepreneurs’ association and the workgroup, we had the better plan and were then commissioned to realize our concept. 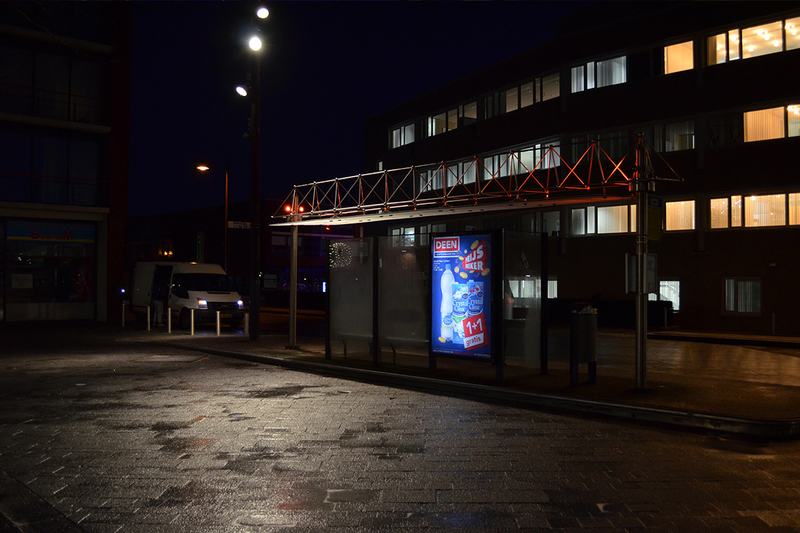 As the project’s main contractor, we were responsible for all the work to be carried out around the lighting plan. 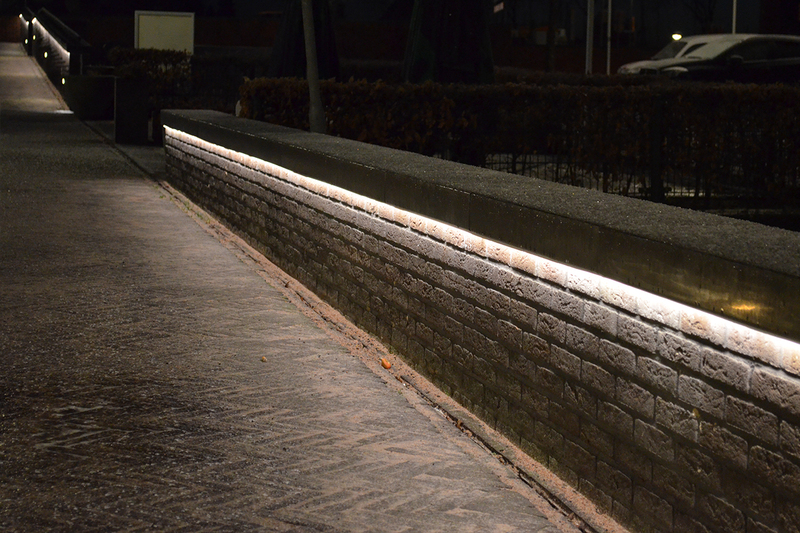 Think of all excavation work, installing and wiring the cable plan, mounting the lighting, as well as installing and programming the automation system. 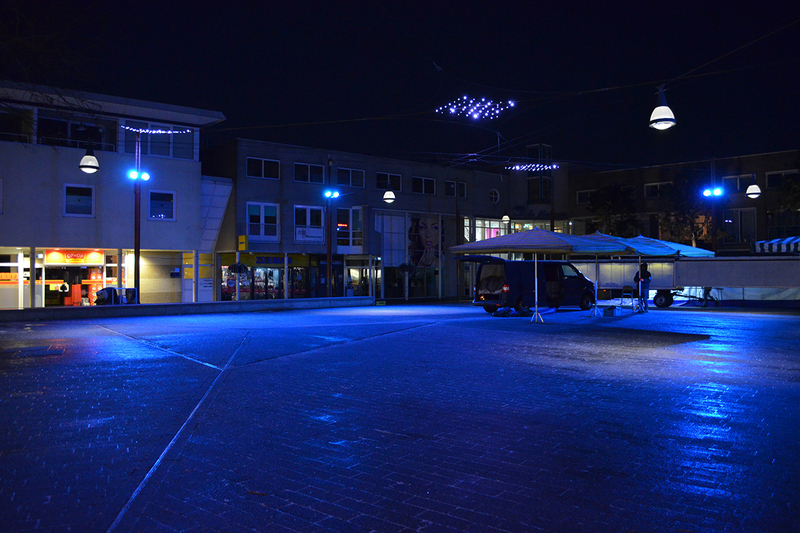 In a tight 2 months time we covered more than 2km of street work open and closed and processed 10km of (ground) cable, installed 215 meters of LED strip, installed 116 ground spotlights, installed 20 large RGB-W floodlights in front of the pylons, installed 3 heated technical cabinets and modified 42 suspended lights to LED. For the automation system we installed 15 wireless transmitters and receivers to manage the system. 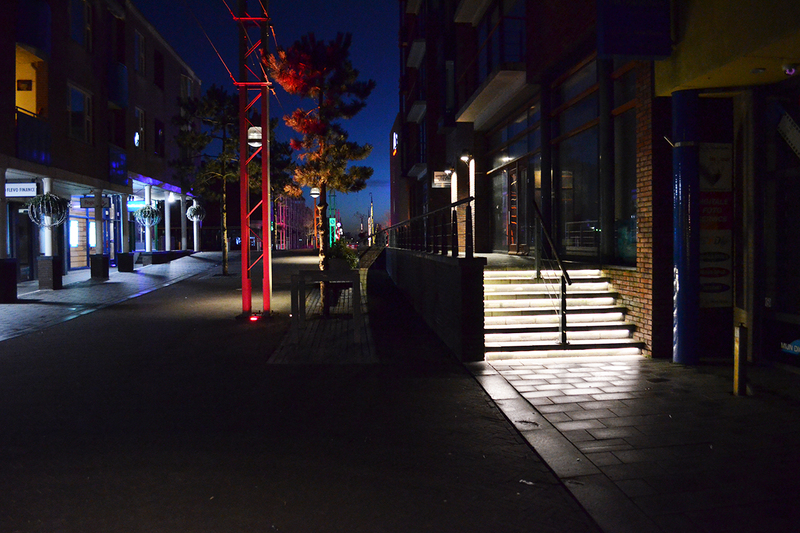 Along the balustrades and under the steps we have applied a high quality LED strip to create an elegant skimming light. 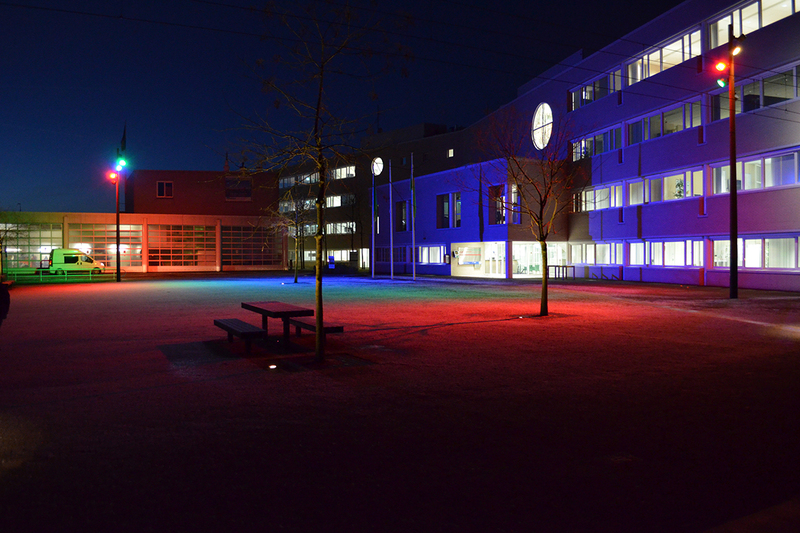 In the shopping areas we have highlighted the pylons with RGB-W ground spots that change colour each time, or can be set to a desired colour. For example in the colour orange during a football match, or another theme. 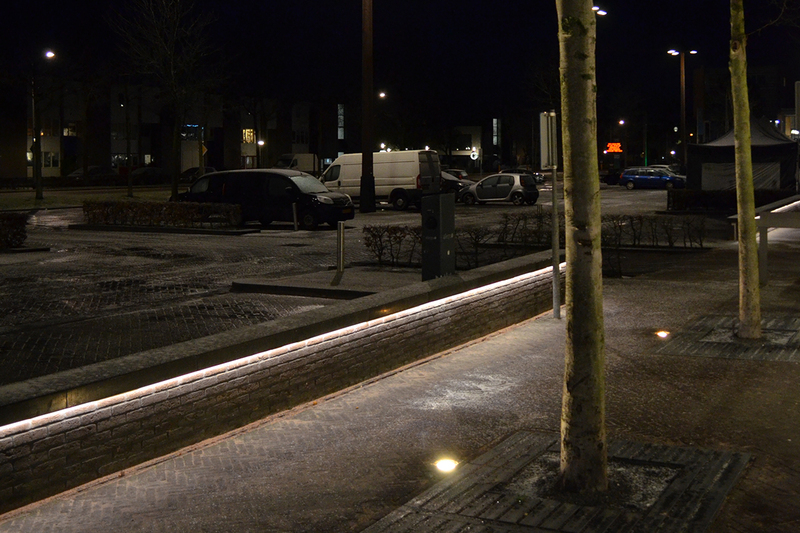 The trees in the city centre have been attractively lit from the ground with the Floor 25 ground light. No less important are the 2 large plazas in the center. 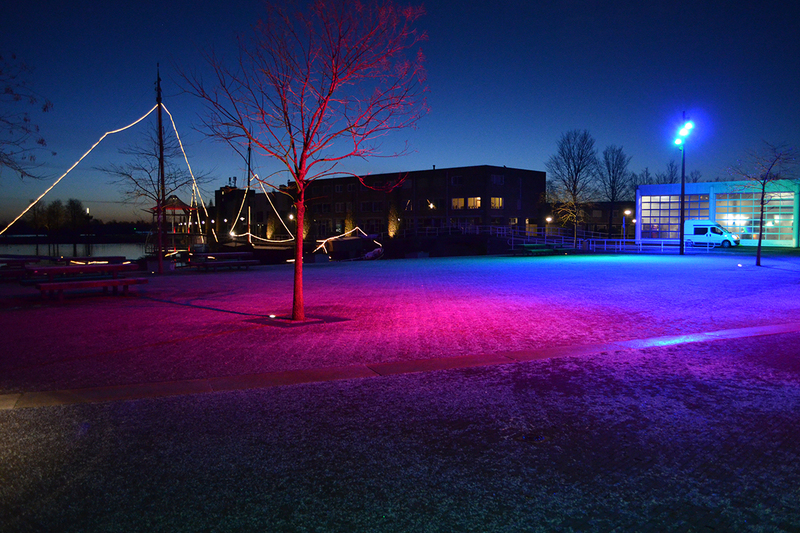 To create more ambiance we have used large RGB-W floodlights with a power of no less than 150w. 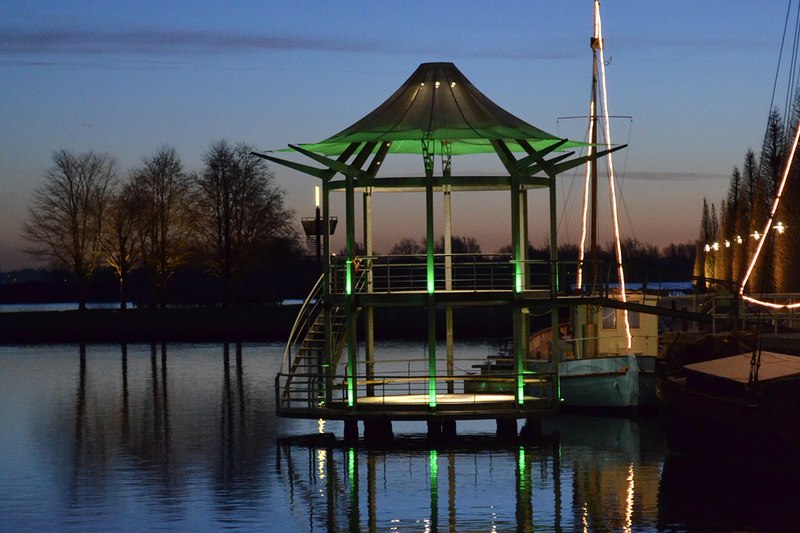 The light colour of these floodlights can also be set to any colour you like with the automation system and its app.